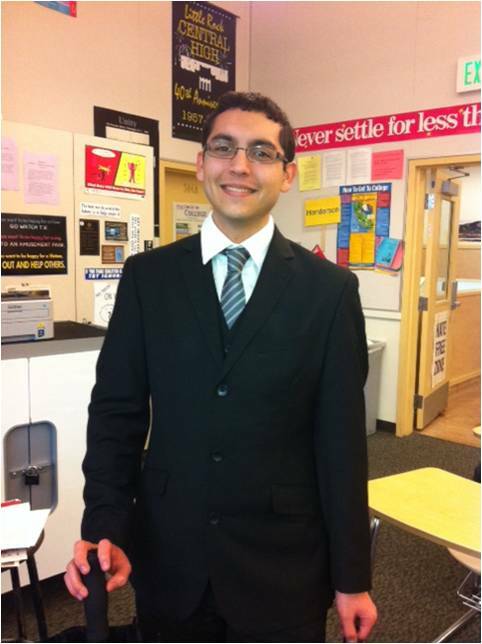 Redwood City’s Roberto Pablo Pimienta is one of 1,000 students nationwide that will receive the prestigious Gates Millennium Scholarship for 2012. More than 24,000 students applied. The scholarship will pay for Pimienta’s tuition, fees, books, and living expenses at Stanford University. It will also pay for fellowships for graduate school, mentoring services, leadership opportunities, and access to internships. Pimienta is a senior at Sequoia High School in Redwood City and is a participant in the Cañada College TRiO Upward Bound Program. Upward Bound is a federally funded pre-college program designed to assist first-generation college students prepare for college. It consists of Saturday workshops at Cañada College and weekly tutoring. During the summer, students participate in a six-week program offering academic courses and activities on the Cañada College campus. It serves approximately 50 students from the East Palo Alto and North Fair Oaks areas. Pimienta has focused his community service on supporting the local immigrant community. He has tutored English, taught English to senior citizens, and raised money for scholarships for undocumented students. His participation in the Sequoia High School Dream Club and the Immigrant Youth Action Team has helped raise awareness as to the challenges faced by immigrant youth. Pimienta said he is finishing his International Baccalaureate Diploma at Sequoia and has taken additional math and science classes at Cañada College. He has also conducted research in three different departments at Stanford and participated in the summer engineering program at MIT. The Gates Millennium Scholars (GMS) Program, established in 1999, was initially funded by a $1 billion grant from the Bill & Melinda Gates Foundation. The goal of GMS is to promote academic excellence and to provide an opportunity for outstanding minority students with significant financial need to reach their highest potential.